Fist of Fury - The Most Dangerous Film Ever! These shots date back to the time when Bruce Lee's Fist of Fury first opened in the West End of London. The queues stretched round the block and the film was a smash hit. 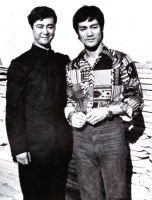 At that time, even before Bruce died, a lot of people were saying that he and Kung Fu films were a flash in the pan. They may have to eat those words! Enter the Dragon and Way of the Dragon both went out on release with films starring other rough, tough Western heroes and business was very, very good. 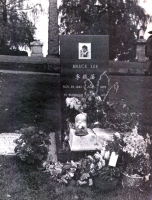 Now in the film business they are taking a new look at Bruce Lee films and asking themselves whether he isn't in fact going to be one of those stars who go on and on drawing the crowds. 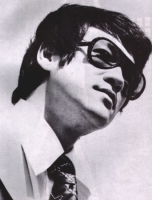 Later this year, there may be a re-release of Big Boss and Fist of Fury, and if they do well, the chances are that there will be a revival of his pictures every two or three years. Why is it that all of Bruce's films are rated X? This means that either we can't see his pictures at all, or we have to pretend to be older when visiting cinemas to get in. I have even once sneaked in the back entrance of our local cinema to see Way of the Dragon, but I got caught! I think that the whole system is stupid and unfair - the only time I ever get a chance to see Bruce is in excerpts from his films on television. I am 15 years old and have joined a local jung-fu club, so why shouldn't I be allowed to see "The King" in action? 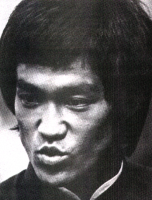 You are here: Movies Fist of Fury - The Most Dangerous Film Ever!